A GPCAM 1 video camera was attached to a PST H-alpha scope. The PST was tuned and focussed. 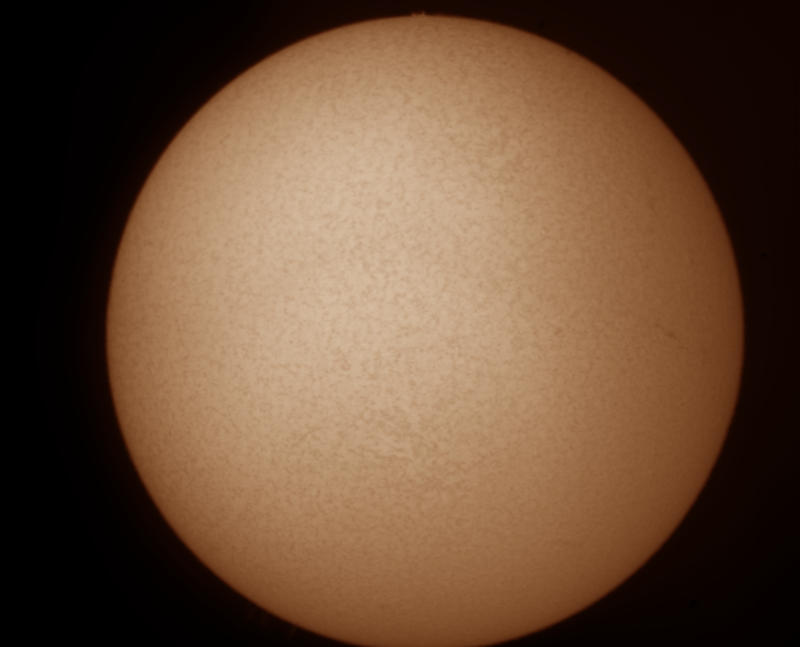 1000 frames of the top and bottom of the Sun were captured separately, of which the best 70% were stacked in Autostakkert! and photo-merged in Photoshop. A Skymax 127 Maksutov was mounted on a Celestron AVX mount. A ZWO ASI120 MC camera was used to capture 7 overlapping panes of the terminator. 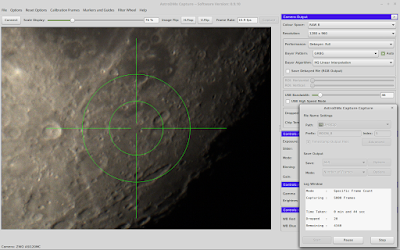 AstroDMx Capture for Linux was used to capture 5000 frame SER files. The best 20% of the frames of each SER file were stacked in Autostakkert! 3 running in Wine. 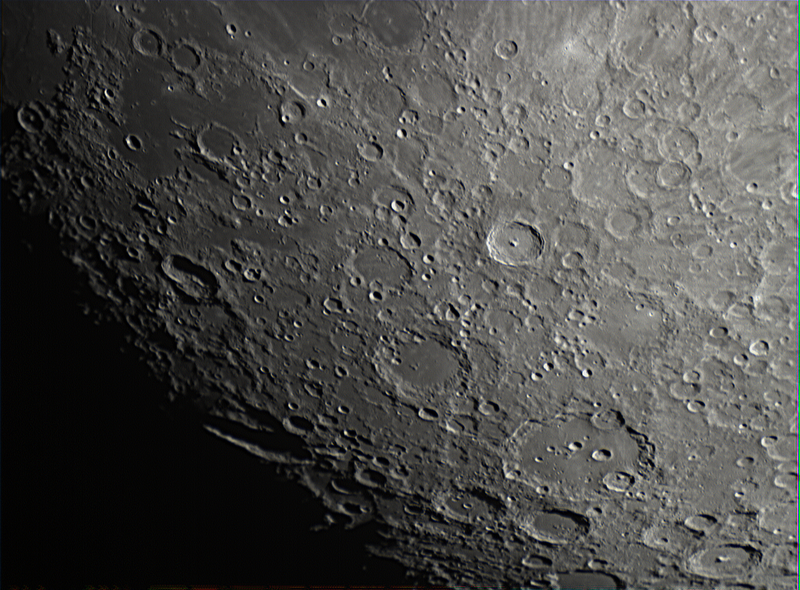 The 7 resulting images were stitched together with Microsoft ICE running in Wine and the final image was wavelet processed in Registax 5.1 in Wine, with post-processing being done in the Gimp 2.9. Screenshot of AstroDMx Capture for Linux capturing one of the panes. The whole 7 panel mosaic of the terminator. Click on the image to get a closer view. 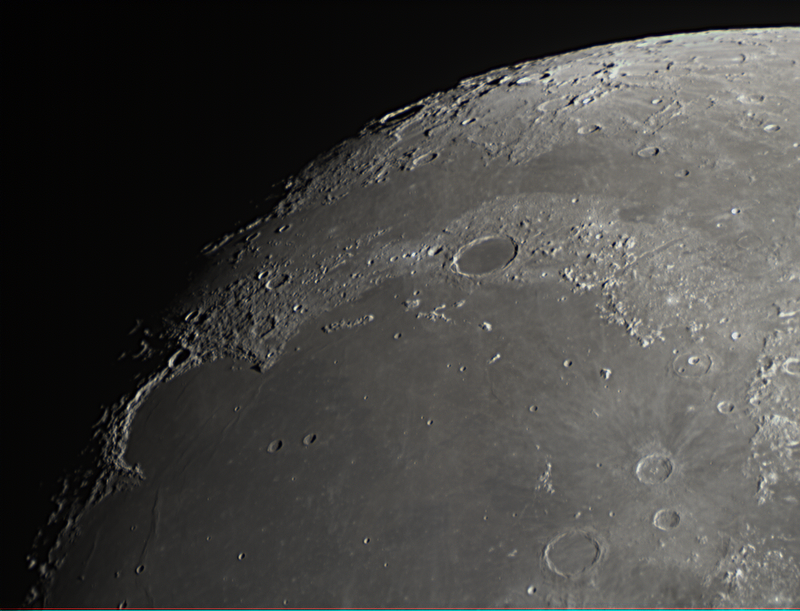 A Skymax 127 Maksutov was mounted on a Celestron AVX EQ mount. A ZWO ASI120 MC camera was placed at the Cassegrain focus and SER files of RAW 8bit images were captured with AstroDMx Capture for Linux. 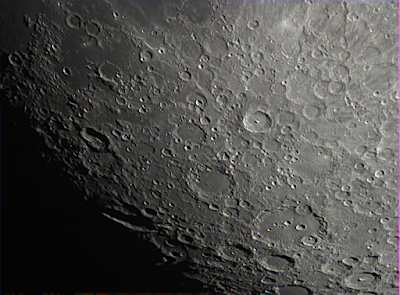 The best 25% of images were stacked in Autostakkert! 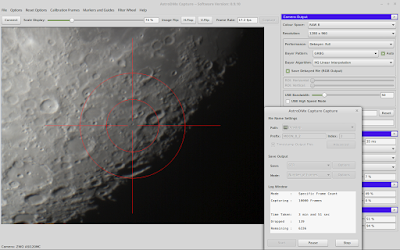 3 and wavelet processed in Registax 5.1, both running in Wine. The final images were post-processed in the Gimp 2.9. Click on an image to get a closer view. 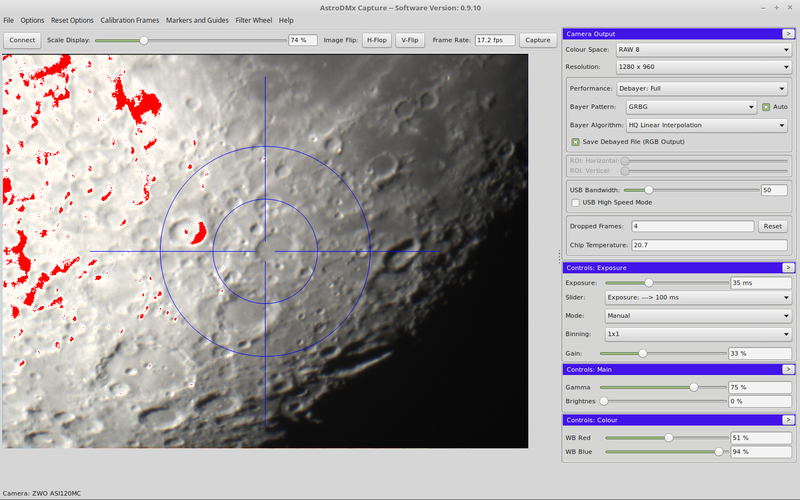 New features of AstroDMx Capture for Linux were tested. This screenshot shows a reticle over the live image to help judge if drift is taking place. This screenshot shows the reticle (which can be either red, green or blue) and over-exposure, Red indicators where the image is saturated. 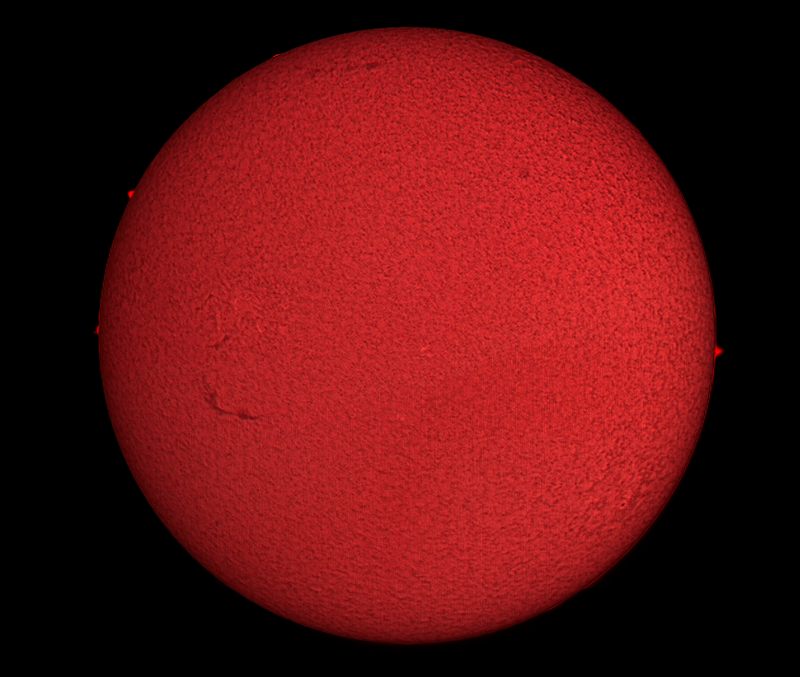 This allows the exposure to be set so that none of the image is saturated. The exposure is reduced until the red indicators disappear. 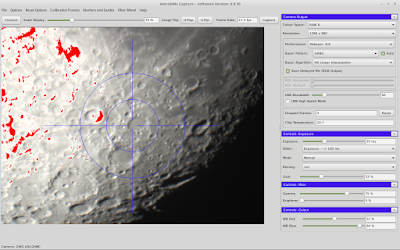 AstroDMx Capture for Linux is now in its final testing run before release. After release, QHY and Atik cameras will be implemented.